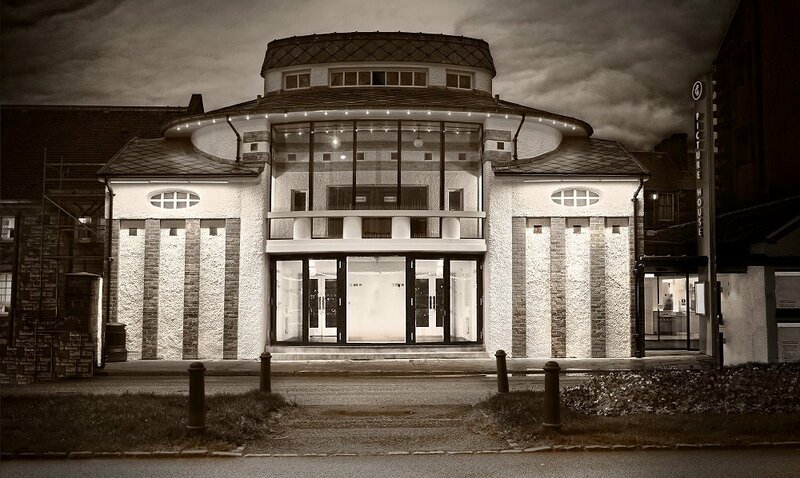 The wee picture house in Campbeltown, as it has been affectionately know for decades, has been such a brilliant asset to the town since re-opening it’s doors in December 2017. It’s wonderful to have access to all the latest blockbusters as well as regular one-off showings of old classics such as Jaws, The Rocky Horror Picture Show and Casablanca to name a few. It is also a great space to hangout for coffee, snacks, amazingly innovative hot chocolates (Nutella, Oreo, Marmite!!!) and board games. AND they serve our very own Kintyre Gin and Kintyre Pink Gin which you can enjoy while watching a film. Recently the Campbeltown Picture House has added another great string to their bow – a programme of live theatre, musicals and opera, screened by satellite from London. It has been on my bucket list to go to something live at the cinema so I jumped at the chance to see Shakespeare’s The Tragedy of King Richard II with friends last week. It was a very contemporary production and I am no expert in Shakespeare but the experience of seeing live theatre in this way was amazing. Satellite audiences are treated to a short introduction to the performance and interviews with the director and actors, while the live audience waits for the performance to begin. In a way, remote audiences actually experience more as camera angles vary and follow the drama, zooming in for effect and panning out when required. It really is a fantastic way to see world class productions that would otherwise be very difficult to get to from a remote part of the country. At just £15 per ticket, it is also a fraction of the cost and much more accessible to people who are discouraged by London ticket prices, before you even factor in travel and accommodation. I’m hooked and have already booked up to see a play at the end of the month – David Hare’s, She’s Not Running. I think it will be easier to follow than Shakespeare but I’m not giving up on the Bard! There’s a trio of his plays coming up in April, June and July and I’m really keen to experience another. I might do a bit more homework on the plots beforehand though! See the Campbeltown Picture House website for details of what’s coming up.